This is the case I user for my Nexus 5X at the moment - Spigen Ultra Hybrid Nexus 5X Crystal. I'm very pleased with it, since it's light and soft and gives a very nice grip to the phone. The Nexus 5X is a light and elegante phone, and I'd like to keep that image. 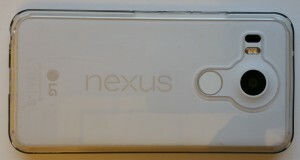 And I do like that the NEXUS-logotype is visible through the back. 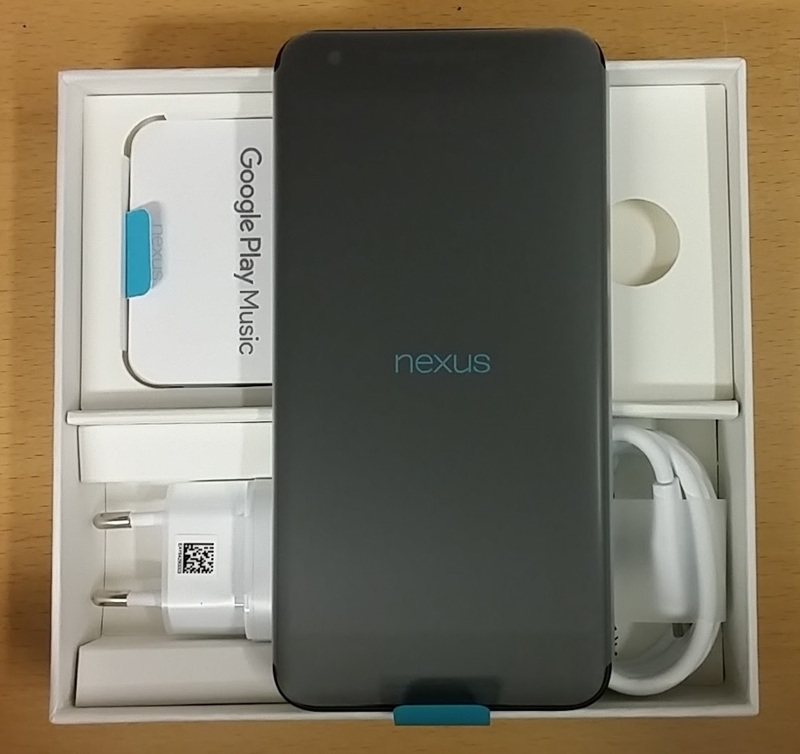 I finally decided to get a Google Nexus 5X. I've made up plus and minus lists for the most recently released cell phones, but my curiosity won over any practical or economical reason. I trust Google to make a good enough phone and I know people who has owned the old model Nexus 5, and is very pleased with that one. 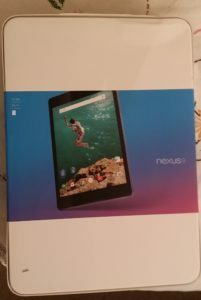 I'm also very happy about my tablet Nexus 9, so I thought this would be a good buy. And it surely is. My old Samsung Galaxy Note 3 has been a faithful friend during the past two years. It's still working even though it's been dropped quite a several of times because it's quite big and heavy. That is also one of the reasons why I was looking for a somehow smaller and definitely lighter phone. I also wanted a phone that was reasonable priced. I don't like carrying around those really expensive pieces in my pocket together with all the other stuff I have. The natural choice wold have been a Samsung Galaxy S6 since they are dropping in price now, but I'm not fond of hte edge design and I don't like the look of the flat model. The all metal sruface is slippery to hold and glides easily on flat surfaces. I always have problems while holding my husband's iPhone 6, since I can't get a good grip around it. 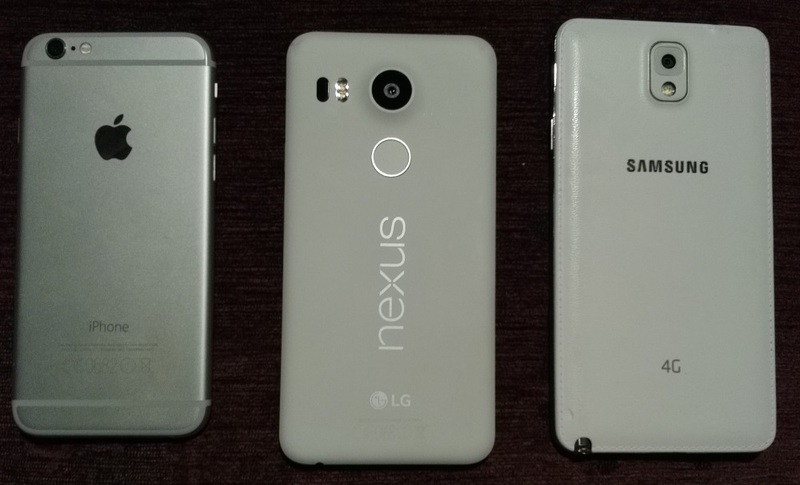 Google releases two new models now: Nexus 5X och Nexus 6P. 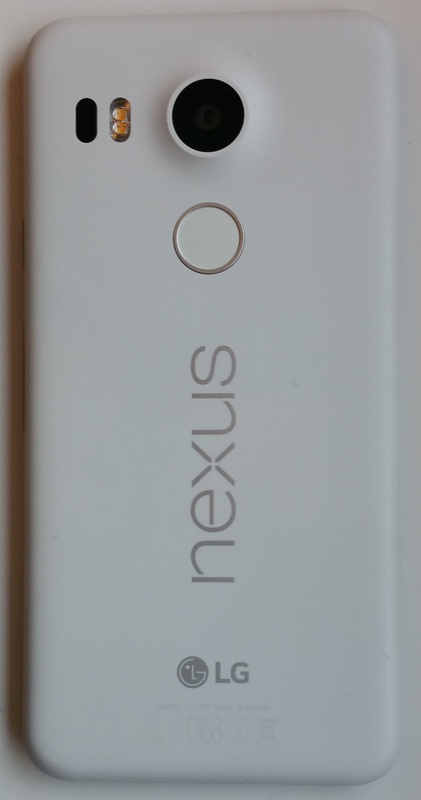 Google Nexus 5X has got a 5,2" screen. The manufacturer is LG, who also manufactured the old model Nexus 5. The size is perfect for a carry around device. The Nexus 5X feels like a model that will fit many people's need. It only weighs 136 which is quite low for a phone of this size. 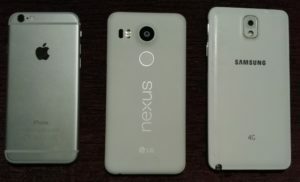 Google Nexus 6P is noticable bigger with a 5,7" screen. The manufacturer of this model is Huawei. The Nexus 6P is more of a luxury model, but since it is both higher and heavier than my old Samsung Galaxy Note 3, it was out of the question. I may be wrong, but after having watched YouTube, I think I might have difficulties using the finger print scanner in an easy way. It's not natural to me to place one of my fingers as high up on the device and I think you will do better if you have longer fingers. The Nexus 6P is also quite expensive and I prefer a somehow more affordable model. The first impression of the Nexus 5X is that it's both solid and light. Even though it's made from molded polycarbonate (except for the gorilla glass in front), it definitely doesn't feel cheap or toylike. Some people frown upon plastic nowadays, but plastic when it's best is nice and soft to hold, you don't get that icey cold metallic feeling during cold winter days and it doesn't slide as easily when put on a flat surface like a table. The plastic parts are well put together and fits nicely together. The Nexus 5X feel very sturdy. The design feels very clean and elegant. The white model says to look a bit like a stormtrooper from Star Wars, which probably is why it appeals to me. 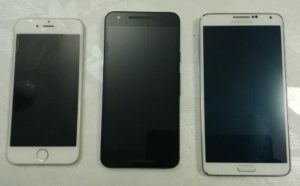 I'm very happy that I chosed the smaller model: It's big enough and I definitely didn't want to handle any larger phone. I got the quartz white model which really is slightly greyish, but still nice. The front is however all black. The screen is an FHD LCD which feels very nice. If I compare it to a Samsung Galaxy Note 3 and a Samsung Galaxy Note 4, the Nexus 5X isdefinitely better than the Note 3 but not as vivid in colours as the Note 4. On the other hand I almost experience the Note 4 to be too colourful sometimes. The details on the Nexus screen are very distinct and crisp. And most of all: The screen is so fast. It reacts instantly and the overall impression is that the phone is a very alert. 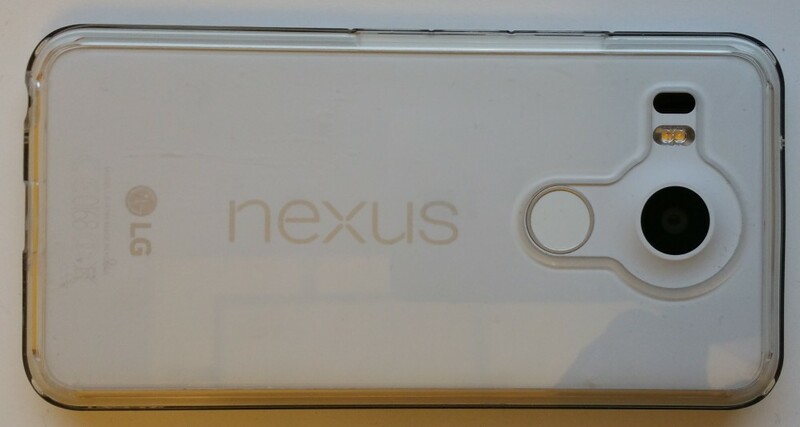 The finger print sensor called Nexus Imprint is such a nice thing! Lift the phone while pressing your finger to the finger print sensor and the phone is ready to use before you have even gotten eye contact with the screen. The fingerprint scanner is both fast but also distinct. You can also use the fingerprint sensor for login to apps, which is so nice. I really, really like the Nexus imprint on this phone. There is no head set in the box. Google expects you to use your own favourite head set. A little bit disappointing, since I really like to have a head set that matches the phone and I'm quite fond of those in-ear-plugs. In the Nexus 6P box, Google has supplied a cable for connecting the phone to a computer (USB Type-C till USB Standard-A), but us Nexus 5X owners have to by this ourselves from Google Store. I got the model with 32 GB of memory, which is as much as you can get. There is no possibility to expand the memory with an extra SD card, since the is only one card spot (which is used by the nano SIM). I do think that 32 GB is quite scarce today, but I assume that Google wants me to store everything in their cloud. The battery isn't replaceable either. Lined up: iPhone 6, Google Nexus 5X, Samsung Galaxy Note 3. The main camera has 12, MP which may not be that impressive but it has gotten plenty of nice reviews. To me the most appealing feature was that the camera performs well during bad lightning, which is a good thing to have up here in the far dark North. I was a litle surprised when I opened the camera interface and noticed how few settings there were to choose from. You can take panorma, fish eye and burst shots. The things I used seems to be there even though I tought it looked a bit empty at first glance. Since it's a newly released model the number of available cases aren't that big. The ones offered at Google Store doesn't appeal to me at all: They all look dark and clumsy. The phone itself is elegant and slim, so why turn it into a military style? Maybe Google think that this phone will get the most attention from men, since all of the cases are quite masculine in my opinion? Although this is definitely a phone that fits women as well as men. The charger is USB Type-C™, which is a new standard. It makes it necessary to upgrade all the USB cables I have placed in different places just in case my phone needs to be connected to a computer or charged. I haven't had the phone long enough for any opinion about the battery life time, so will have to get back about that. So far, I'm so PLEASED with this th Nexus 5X. A really nice phone, I must say. 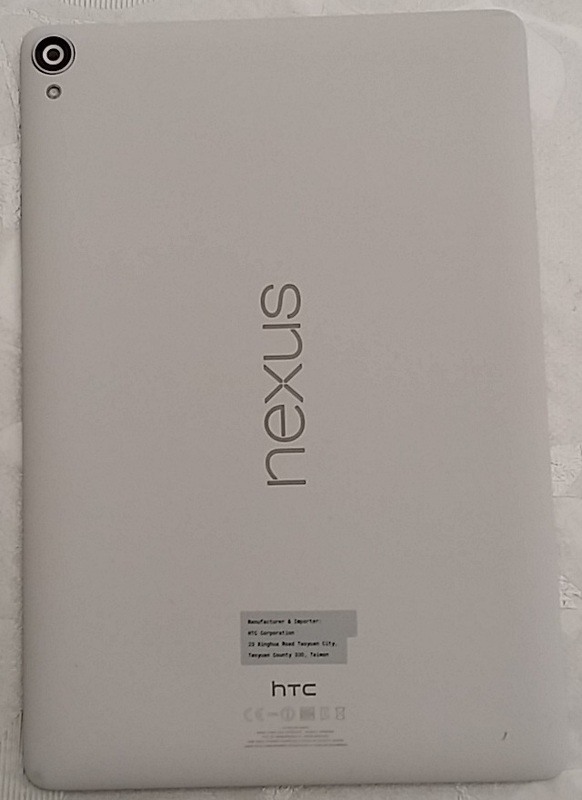 It's really nice - the white little tablet Nexus 9. The manufacturer of Nexus 9 is HTC. Google lets different manufactures produce the members of the Nexus line, which I suppose leads to optimization for price and performance. I have previously owned an iPad 2 which wasn't my cup of tea at all. I thought it was too big and too clumsy to carry around. It even felt clumsy to carry around in my bag, so it ended up on a shelf here at home. I also thought it felt slippery to hold without a case - and far too big with a case. I do want to be able to hold the tablet easily with one hand. We weren't friends at all, me and the iPad. And I do prefer Android over iOS any time. To me a tablet is just a tablet: If I want to write a longer text I pick my laptop with a real keyboard. But I have missed something to use when reading the morning newspaper online when having breakfast. Or a somehow bigger screen than my mobile for playTV when I don't want to sit in the living room by the family TV using my Chromecast. 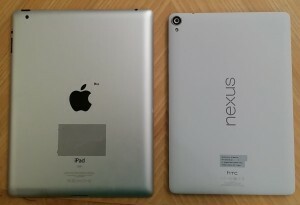 Therefore, Nexus 9 with it's 8.9" large sceen felt like the perfect size and the perfect companion. I think a 7" tablet is far too small, an 8" is a possability but this 8,9" feels perfect for my needs. 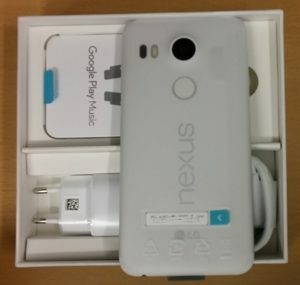 It seems like Google is clearing is stock of this now somehow old (2014) model, so the prices feels OK. They aren't cheap, but I hope this tablet will last for a couple of years and that Google will keep updating it. I ordered the 32 GB version, which I feel is on the lower side, but it was the largest memory size I could choose. There is unfortunately not any slot for an extra memory card. On the other hand my Chromebook only has 16 GB disc, which I thought would be scarce for storage. So far, I have not had any space problems with the Chromebook, since almost everything is stored on Google Drive and not on the physical machine. I don't think a tablet would need any more storage than a Chromebook, so I'm probably safe. My Nexus 9 is the Wi-Fi version. The build qulity is really nice. Nowaday a lot of tablets and mobile phones are made from aluminium and people frown upon "plastic things". I can however se positive things with plastic: It does'nt get as cold and slippery during the cold winter time and it is softer, warmer and gives a better grip. There's a metallic frame around the tablet which makes it somehow more durable when (not "if") you drop it. The design is very clean and elegant. The screen is really, really nice. It's an IPS LED screen, which doesn't have the same intense colours as a AMOLED-screen (used in SAMSUNGS premium lines e.g. ), but I do like this screen. The AMOLED is a bit too intense and colourful to me sometimes, and this screen feel sharp, detailed, natural and fast. I do like it a lot. The screens reacts really quickly when you use it. The battery time feels OK. It's always hard to tell what's good and how long is long. The tablets get thinner and thinner and it's hard to put a lage battery into a thin unit. So far, I think the battery time feels like expected. There are plenty of tips on Google's support pages for Nexus 9 how to prolong the battery time. Edit: After having used my Nexus 9 for a couple of days, I must say that I'm very pleased with the battery time. It's way in line with my old iPad, which I was really impressed of. The new function Doze in Marshmallow really does it's job. The Nexus 9 charges via the MicroUSB port. 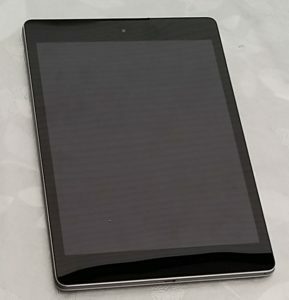 I have sen reviews that the tablet will heat up after a while, getting really hot at one corner. I have not noticed any of this. I guess some of the early problems have been removed since the tablet has been in production for a while now. I ordered the white version, but I must say that it's definitely more grey than white. Not what I had expected or as it's shown on the internet. The number of cases are surprisingly few regarding that the Nexus 9 has been on the market for quite a lot of time. I found a lilac case that I ordered, which was made to fit Nexus 9 perfectly. The generic cases are often either for tablets 7-8" or 9-10". Using a larger case than needed reduces the advantage of having a slightly smaller tablet. 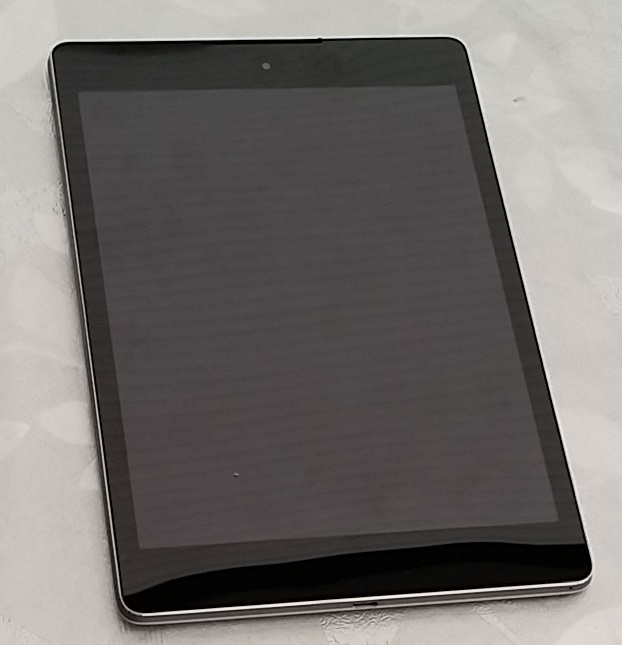 The Nexus 9 weighs 425 grams which is quite light. I can easily hold it in my left hand, while having a cup of coffe or sandwich in my right hand. The Nexus 9 really feels light and easy to handle. When I powered on the tablet it wanted to use the latest backup I had from one of my other Andorid units, a mobile phone. I said OK and then it started to download all my apps, which felt quite nice. Not having to redo all the downloading once again for my most used apps. Then the exciting part of the installtion process started: To update the unit to Marshmallow 6.0. I lost count of how many time the Nexus 9 said: "I have a new update - do you want to install it?" But after 5-6 restarts it was updated to Marshmallow 6.0. After only having tried it out for a short time, I don't think it feels like that much of a difference to the old versions of Android. But the latest and the greatest is always nice. I've seen the power button mentioned as being hard and unsensitive. The Nexus which are sent out now has more distinct buttons which is OK to use. You can see them in the photo below. The stored data is encypted, but if it should be any use with this you need to add some sort of screen lock. You can use gestures, PIN or a password. There are other nice things as setting up muliple user profiles. The Gmail application can load other email accounts as well. There are cameras both in front and in back (auto focus) so it should be possible to both take photos and Skype or take selfies. The screen opens when you double knock on it. 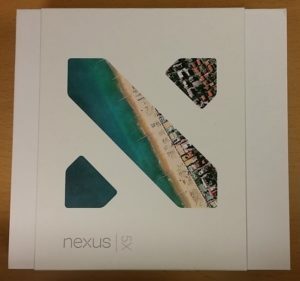 There's a lot of easy to follow documentation on Google's support pages for the Nexus 9. Do visit them. 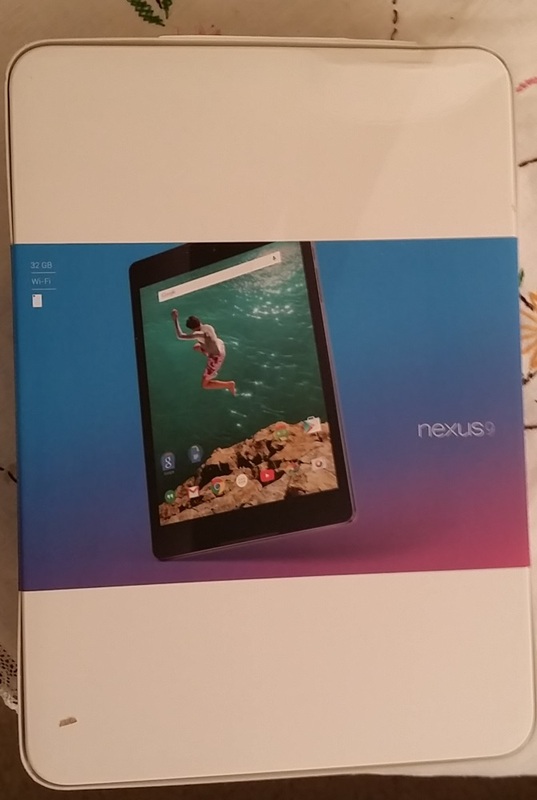 The Nexus 9 will most likely be a faithful companion to me. 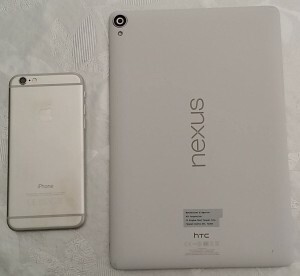 This is the Nexus 9 next to an iPhone 6. All specifications can be found here. 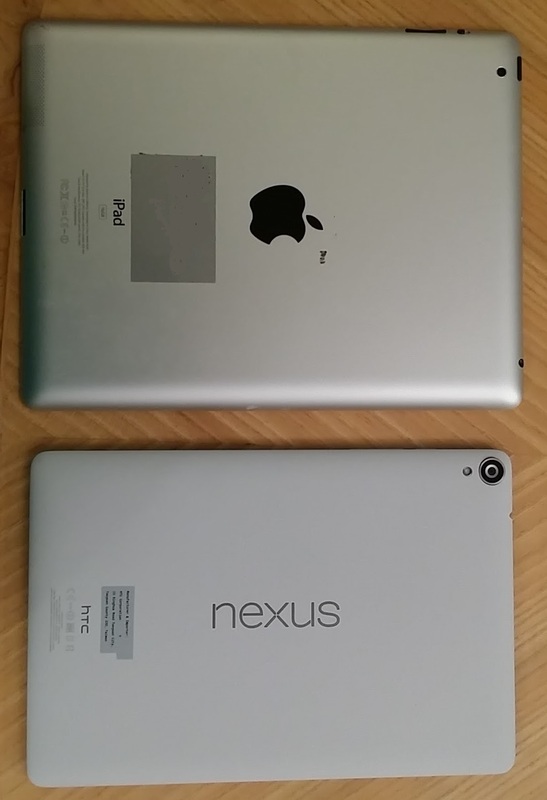 This is my old iPad 2 (9,7") side-by-side to my new Nexus 9 (8,9"). One, i.e. the Nexus 9, is easily kep in one hand. The other one (iPad 2) demands two-hand-use, to me at least.